I’ve owned a Lincoln Weldpack 100 for some time now. Since day 1 I have always wished it could be a MIG welder. Inner shield is cheap and can make good welds. But comes at a price. It’s basically stick welding, so it’s messy. But if you do it right the slag falls off and a shiny weld is what’s underneath. Then you spend the next 10 minutes cleaning off you part. No longer! 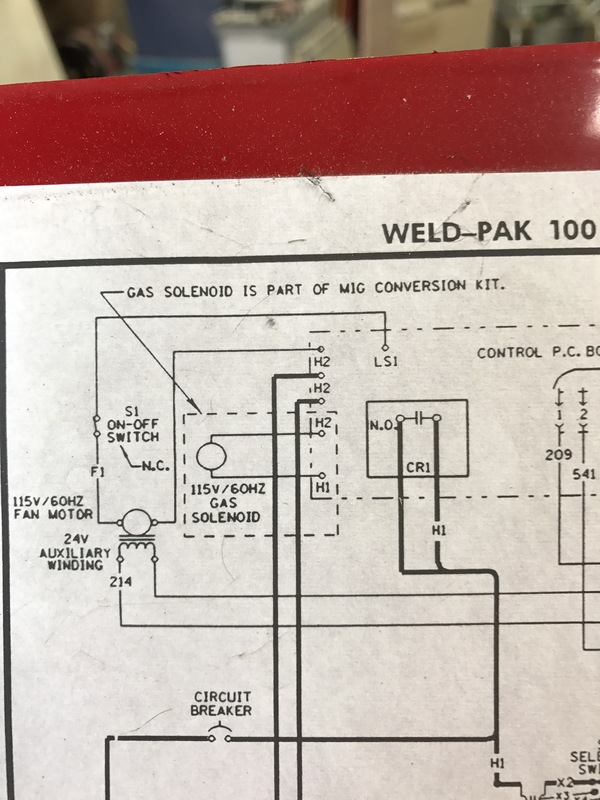 A peak under the hood of my welder reveals a 115v solenoid! I found this key complement on Amazon for $14. 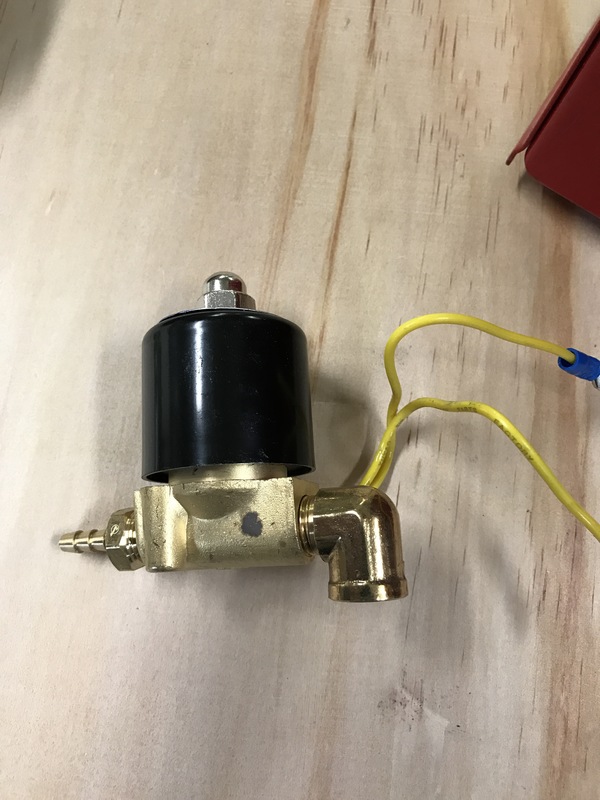 My $14 solenoid valve with air fittings attached. 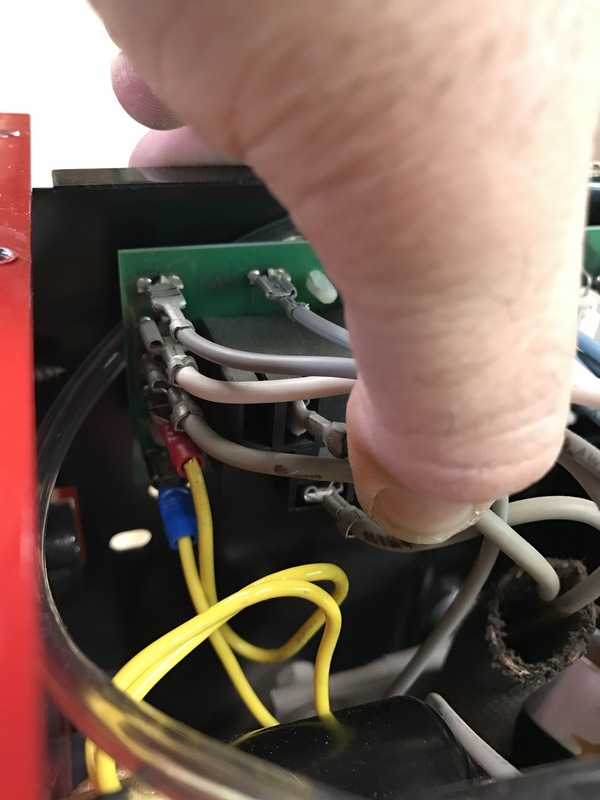 I started by crimping my spade connectors to the solenoid. Then I used a paper to make a rubbing of the mounting bolt pattern on the solenoid. 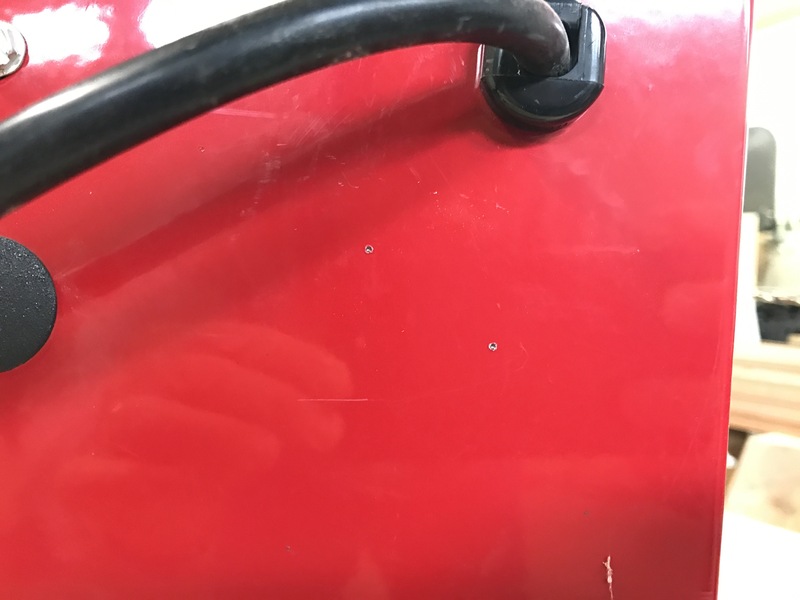 I used a center punch to transfer than to the back of the welder case. After the holes were drilled, I dug around in my spare bolts for 2 that fit and attached the solenoid. 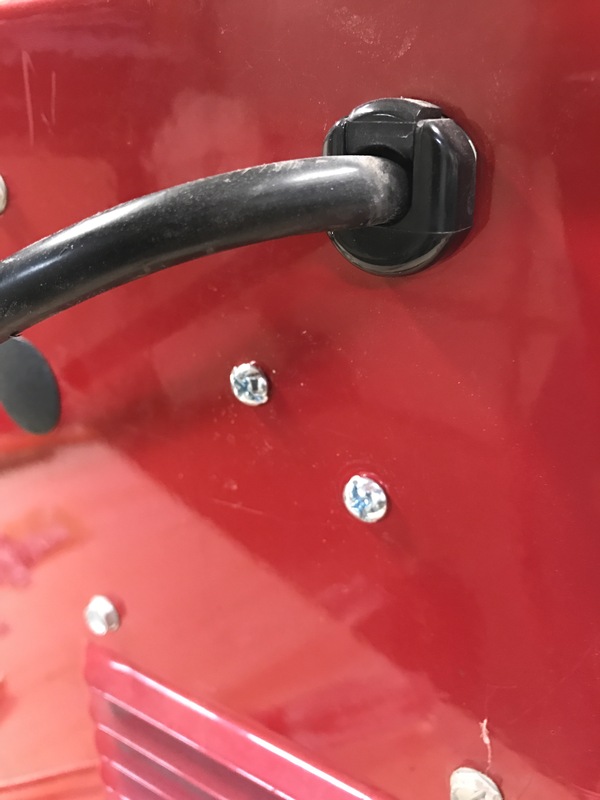 I then marked and drilled the hole for the gas inlet with a step drill. 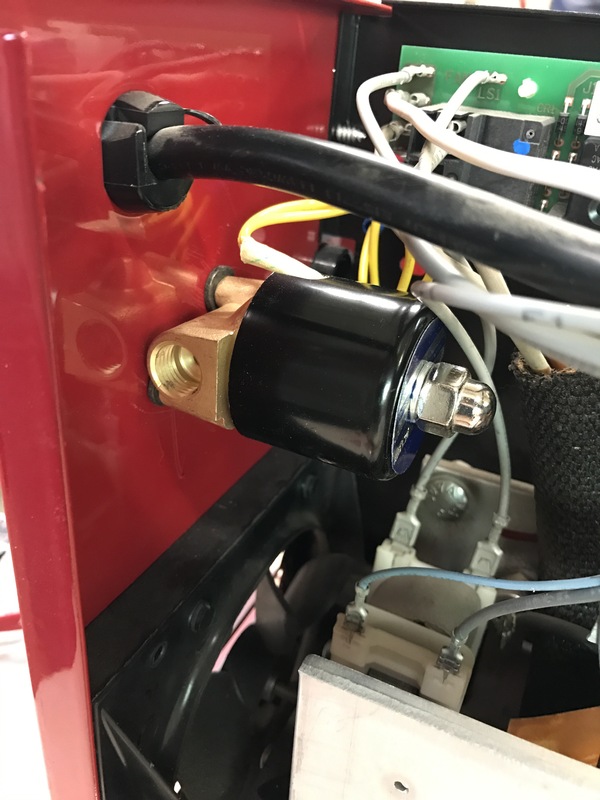 I attached the spade connectors to the control board and hooked up the gas in and out lines. 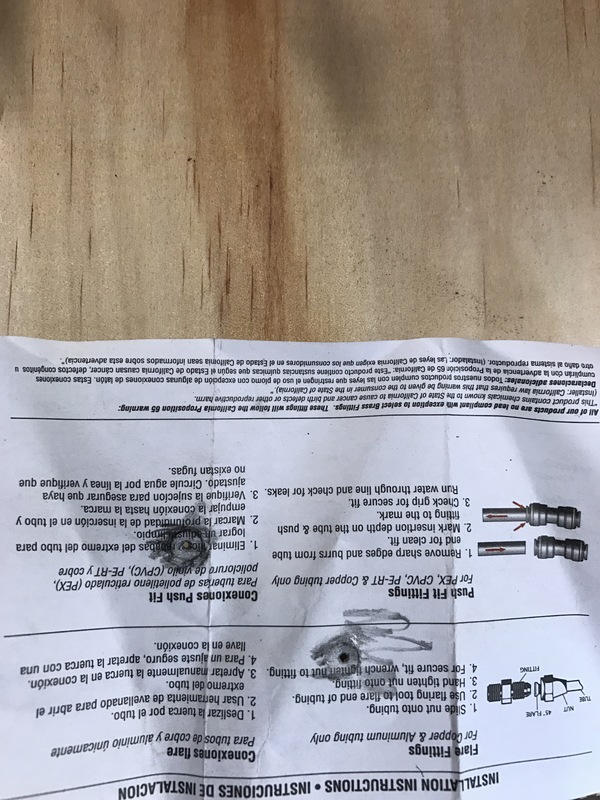 I also had to reverse the positive and ground leads to the gun. 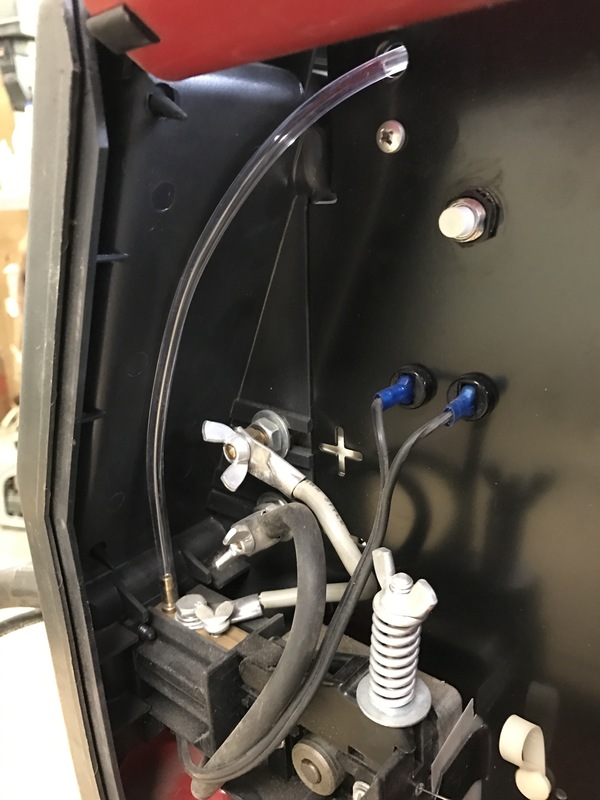 Hooked up the regulator and replace the wire, contact tip and gas nozzle. Done.